Charlie Joe Jackson may be the most reluctant reader ever born. And so far, he's managed to get through life without ever reading an entire book from cover to cover. But now that he's in middle school, avoiding reading isn't as easy as it used to be. And when his friend Timmy McGibney decides that he's tired of covering for him, Charlie Joe finds himself resorting to desperate measures to keep his perfect record intact. 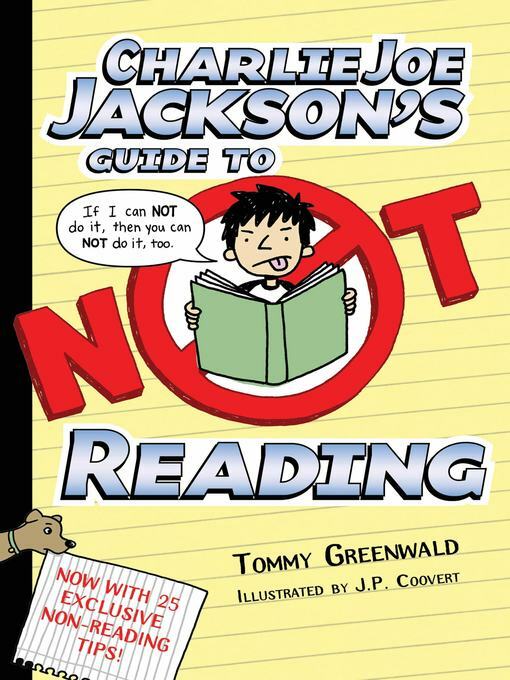 Charlie Joe Jackson's Guide to Not Reading by Tommy Greenwald is the hilarious story of an avid non-reader and the extreme lengths to which he'll go to get out of reading a book.